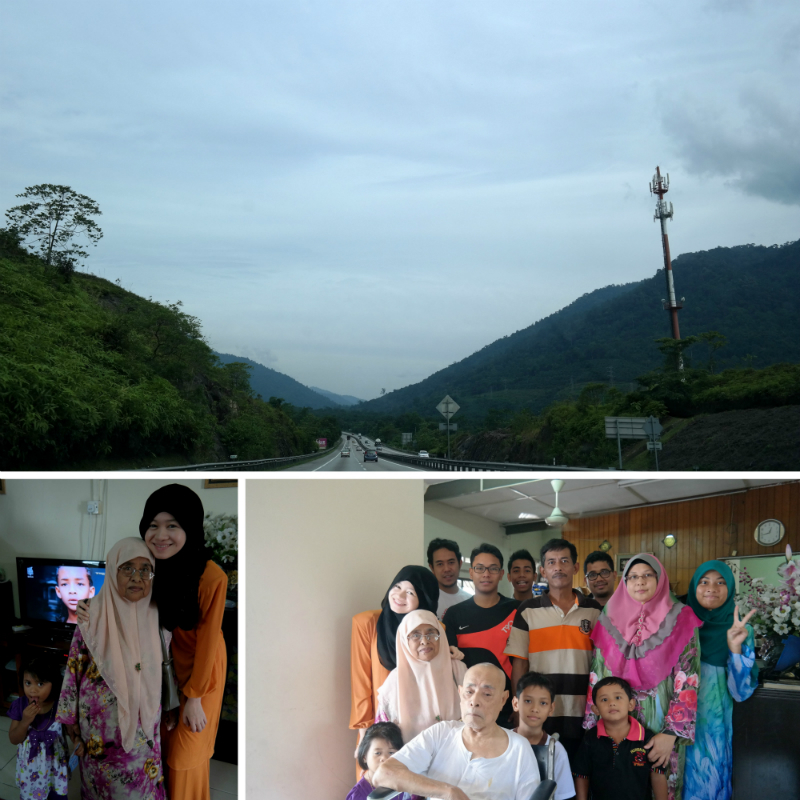 My husband and I spent three days of Raya in Ipoh to visit my Atok, Uncle and family. 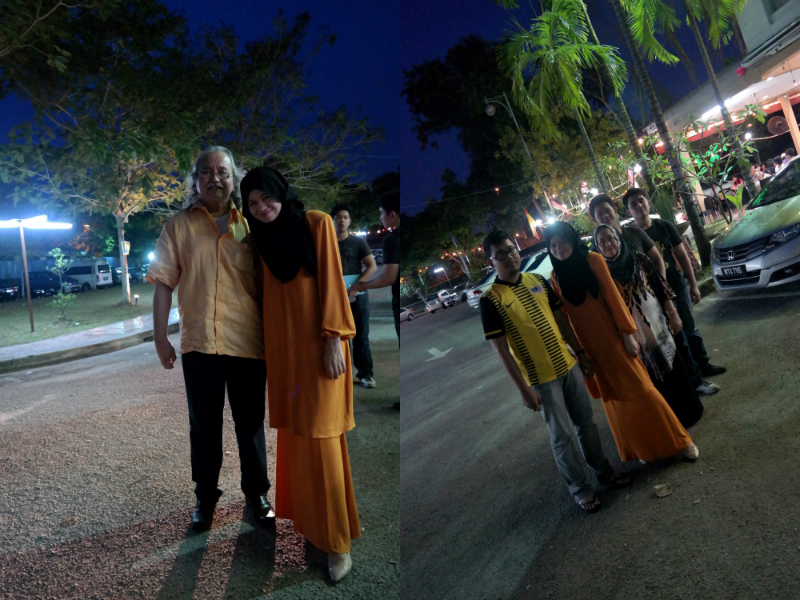 We decided to go on the 4th day of Raya to avoid the traffic. Ipoh was calm serene and peaceful. As usual. Will blog more on Ipoh and our discovery of Gunung Lang soon God-willing. 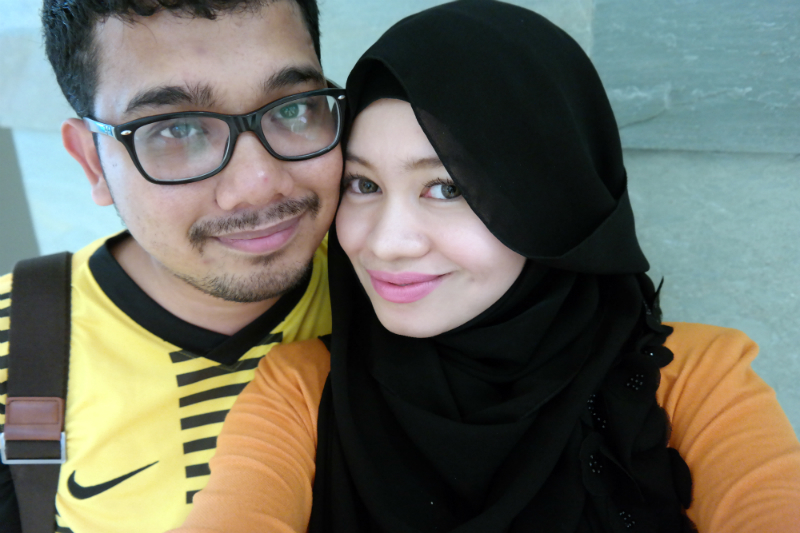 I wore this Duha Kurung on the day I went back to Kuala Lumpur. It was quite hot in Ipoh during the time I was there and especially since it was also a road trip kinda day, I decided to wear something really comfortable, practical and cooling. This baju kurung is perfect for warm weather. The material is so soft and airy, and it was even better than what I expected when I ordered it from Fashion Valet. I really wanted the one in gray which was not available anymore, but I wanted it anyway so say hello to my new pumpkin baju kurung. The kurung is crafted from cotton blend, and is labelled as baju kurung Pahang. I like the ruched cuffs which makes it easy for me to perform ablution too. My hubsand and I reached KL and straight-away joined a meeting with my family to discuss my brother's engagement at Lala Chong. It has been a long while since we ate family dinner outside so it was fun. 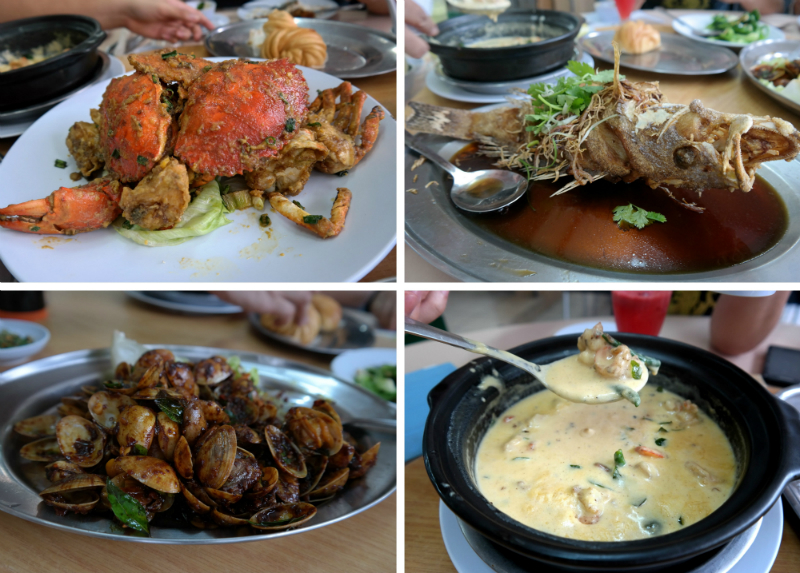 The food was awesome Alhamdulillah especially the creamy buttered prawns! After that my husband and I went straight for a movie date to watch the Trees behind the Pines. Even though I was very exhausted my eyes were glued to the screen and I enjoyed the storyline and the plot of this very good movie. This movie is very under-rated and not talked about much so if you have a chance to see it, go see it quick!